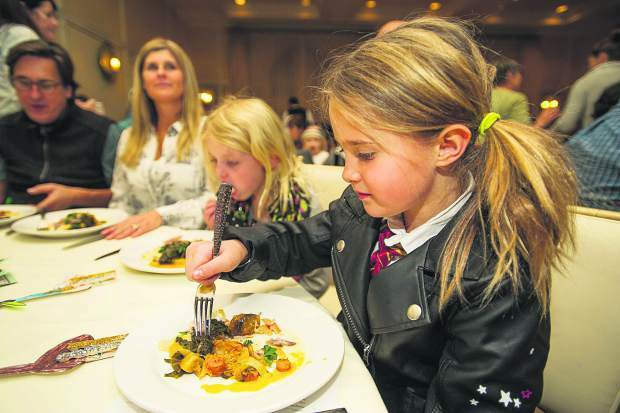 Sierra Macdonald, 7, and her friend Chloe Collins, 6, the 10th annual Aspen T.R.E.E. farm-to-table free community Thanksgiving meal at the Hotel Jerome on Tuesday evening. Opening day is Thursday and sometimes after a day on the hill you really don’t want to cook. Or if you’re in town for vacation and the oven is a little small for a turkey, let alone a Cornish game hen, you’re covered. Seatings at 2:30, 5 and 7 p.m.